7th Pay Commission: Good news for employees, PM Modi likely to give nod for this big decision. 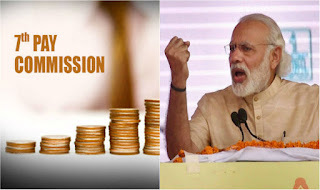 If reports are to be believed, the announcement on a hike in minimum pay and fitment factor can be made by Prime Minister Narendra Modi in five days, i.e. on August 15 (Independence Day).